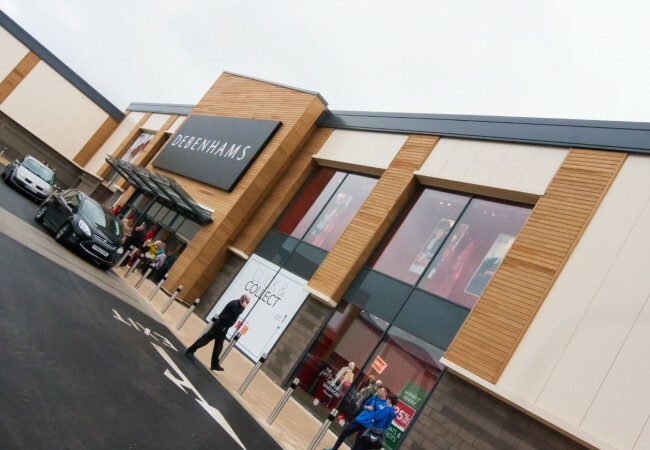 Adept were appointed by Simons Construction to provide civil and structural engineering solutions to the £25million retail park to include premises anchored by a 50,000 ft2 Marks and Spencer, supported by stores such as Debenhams and Boots. Appointed in 2010 the build was completed in just 9 months following a three year feasibility consultation by the client. Complex civil engineering design was required to address the lack of surface water drainage. Director level involvement facilitated the engineering of the largest fully sustainable SUDS system that Adept have been responsible for. Challenges surrounding underground water tables and raising floors above flood planes were eliminated thanks to the expertise of senior level involvement. As with all of Adept’s design, engineering solutions were provided to minimise environmental disturbance. Responsive structural design was required to meet the needs of the client and the prestigious companies who were to take residence in the completed buildings. Steel frames were designed to Adept’s specification, to fully incorporate individual client’s needs. Large column free areas were facilitated through the use of long span composite beams and tight surface tolerances to both the ground slabs and upper floor slabs were provided. 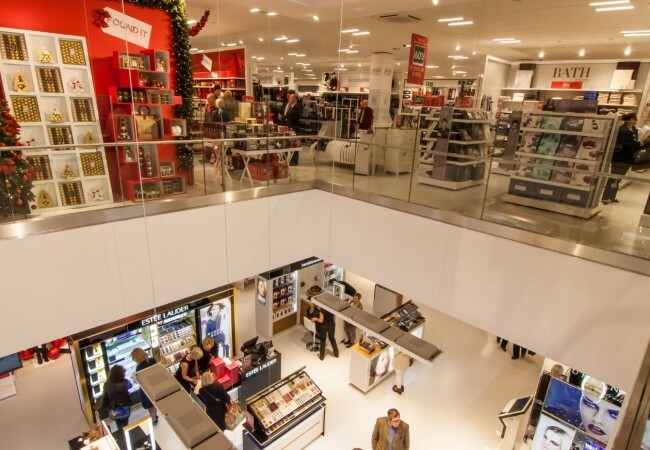 The ground slab in the Debenhams unit in particular pushed the dimensional limits of jointless fibre reinforced slabs to the extent that it was the largest single pour undertaken by the flooring contractor. Ground improvement was undertaken through vibro stone columns which were tailored to meet the variety of bearing requirements. The increase of the allowable bearing pressure and reduced potential settlement thus enabling the use of traditional pad foundations, rather than piles, allowing Adept to reduce costs for the client. Continuing to further Adept’s reputation for the provision of timely design solutions this large scale project was completed during a narrow timescale to meet the clients requirements.